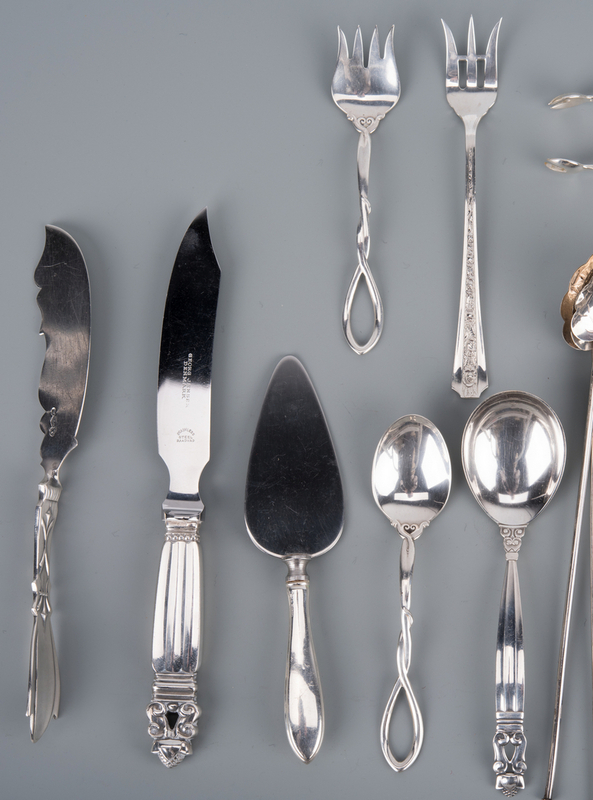 Group of assorted sterling flatware and coin silver. 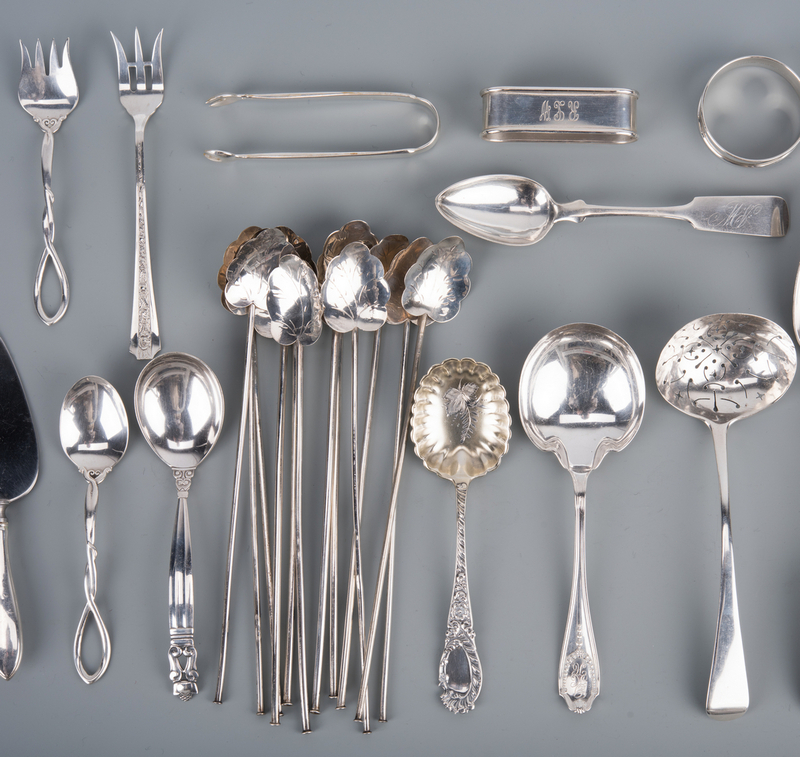 1st group: Sterling silver including Tiffany Flemish pattern vegetable serving spoon (9 5/8" L, not monogrammed); Georg Jensen Acorn pattern jam spoon and steak knife; set of 12 Mexican 925 sterling beverage straws with leaf bowls; 3 napkin rings; Towle sugar tongs; Frank M. Whiting youth set, cheese server and seafood fork; Whiting sugar spoon; W. Moir sugar shell with gilt bowl and Georgian sterling sugar sifter, 26 items, 12.985 weighable oz troy. 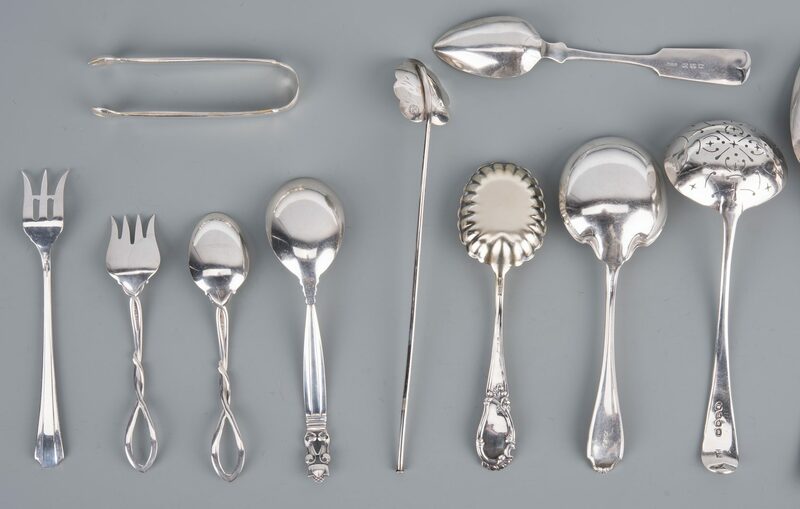 2nd group: 5 coin silver spoons and 1 master butter spreader by various makers including J.L. 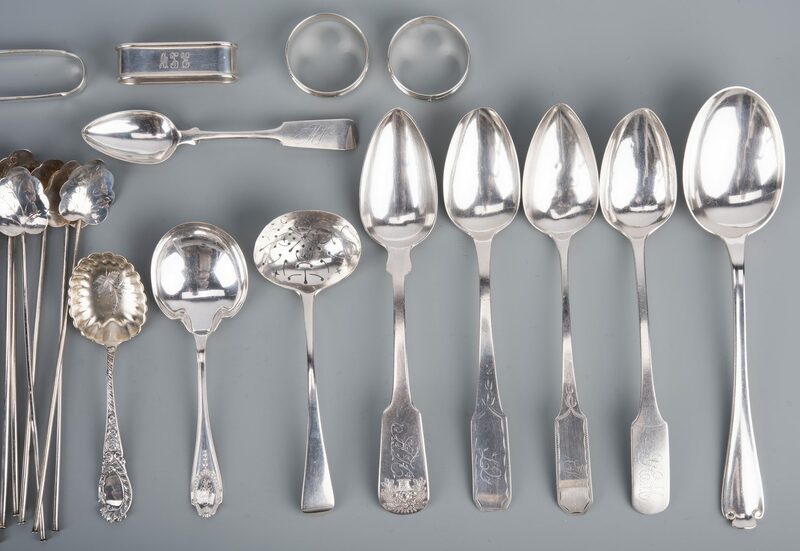 Moore (NY, 1st half 19th c.) tablespoon with applied cornucopia basket at tip; 2 B. Wenman (NY, working 1795-1810) tablespoons with brightcut decoration with monograms and coffin handles (9" L); L. Ryerson (Manchester, NJ, 1st quarter 19th c.) tablespoon with reverse tipt handle and impressed border with monogram, and English coin silver teaspoon with monogram and reverse tipt handle (6" L) and one Wood & Hughes coin silver flat handle master butter spreader, 7 1/2" L, 6 items, 8.21 total oz troy coin silver. 32 items total. Provenance: Private collection, Knoxville, TN. CONDITION: Most in very good condition; many sterling items not monogrammed. 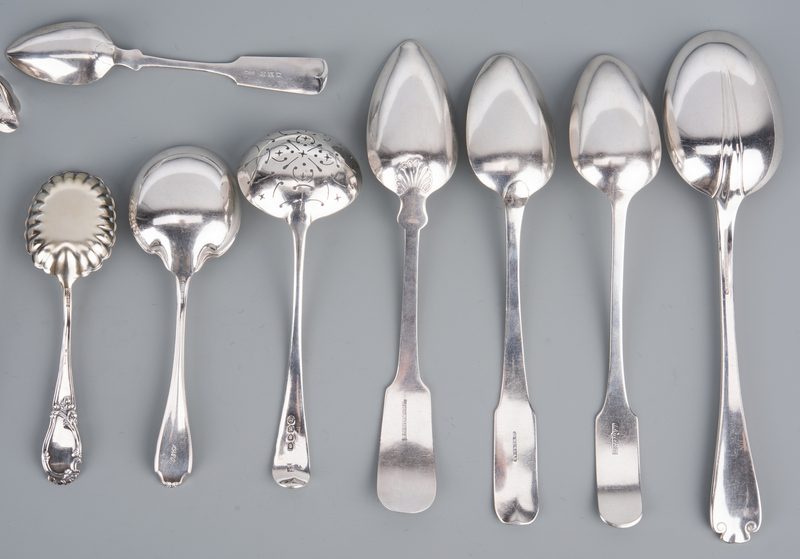 Two coin silver serving spoons with wear to bowls and a third with fleabites to bowl. Coin silver spoons with monograms.